Before you hit the water, make sure that you have appropriate insurance coverage and follow safe boating practices. Here are some tips to consider. Check weather forecasts before heading out. Let someone know where you’re going and when you expect to return. Check your engine, fuel, and electrical and steering systems. Be sure to check for exhaust-system leaks. Carry one or more fire extinguishers appropriate for the size and type of boat. Keep them accessible and in good condition for immediate use. Equip the vessel with required navigation lights and a whistle, horn, or bell. 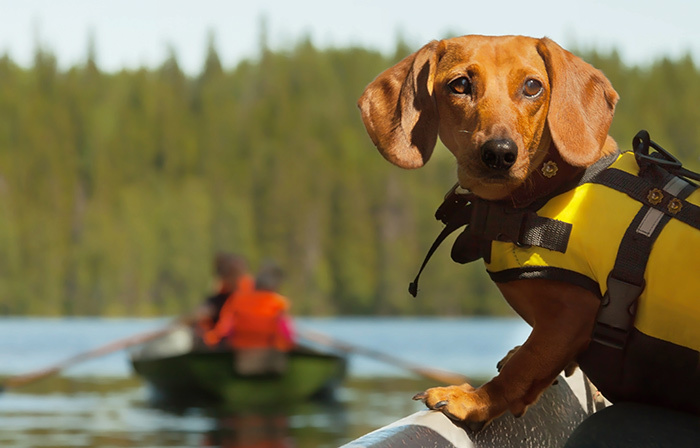 Consider additional safety devices, such as a paddle or oars, a first-aid kit, a supply of fresh water, a flashlight, flares, a radio, a tool kit, and spare parts. Know and obey marine traffic laws. Learn standard distress signals. Be alert for other watercraft, swimmers, floating debris, and shallow waters. Don’t overload the vessel, and take care to distribute the load evenly. Don’t stand up or shift weight suddenly in a small boat. Don’t permit riding on the bow, seatbacks, or gunwales. Homeowners or renters insurance policies may provide limited property damage coverage for small watercraft such as canoes, small sailboats, and powerboats with small motors (typically less than 25 horsepower). Liability coverage is generally not included; however, you may be able to add it as an endorsement. Larger and more powerful boats (and personal watercraft such as jet skis and wave runners) should be covered under a separate boat insurance policy. State requirements vary, but most lenders will ask for proof of insurance. Keep in mind that your homeowners policy may not cover your boat even if it is parked in the garage. Actual cash value — Pays for replacement costs less depreciation at the time of the loss. In the event of a total loss, market value is based on used-boat pricing guides and similar sources. Partial losses are paid based on the total cost of repairs minus a percentage for depreciation, and the policy deductible also applies. An actual cash value policy is typically the more economical alternative, but coverage is narrower. Agreed amount value — Coverage is based on the value of your vessel as agreed upon by you and your insurer. In the event of a total loss, you would typically receive the agreed value minus the policy deductible. In a partial loss, these policies may replace structural items without any deduction for depreciation, after the policy deductible. An agreed value policy typically costs more than an actual cash value policy but offers broader coverage. Spending time on your boat or other watercraft should be a relaxing break from the hustle of everyday life. Take a few moments to review your coverage and be sure that you have the protection you may need.